Yoga for Beginners - offered as 30 min or 90 min modules for anyone over 7 yrs. Meditation for Beginners offered as a 45 min module for anyone over 12 yrs. 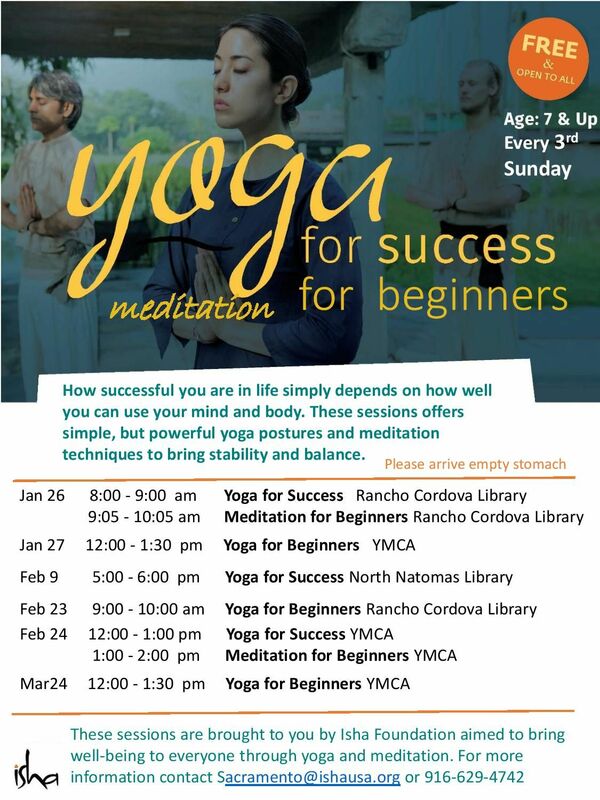 Yoga for Success a combination of Yoga and Meditation offered as a 60 min module for anyone over 7 yrs. These take-home practices take only 5 to 25 minutes of actual daily time. We also provide ongoing free online support through our website & mobile app and email support for any questions.